For several years, I have been training managers how to better coach their employees. 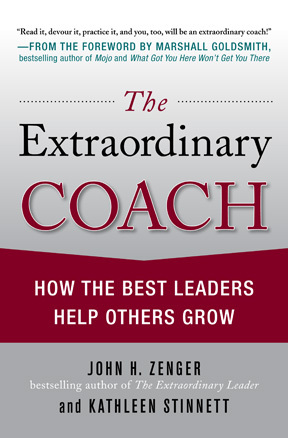 The Extraordinary Coach book distills some tried-and-proven principles into some easy-to-apply frameworks and examples. This book provides a "toolkit" for leaders to utilize as they coach their employees, complete with worksheets, checklists, sample questions, and the latest research findings on coaching effectiveness.